A package of two satellites was ejected from the International Space Station on Friday to begin a mission dedicated to a demonstration of autonomous navigation, rendezvous and docking technology. 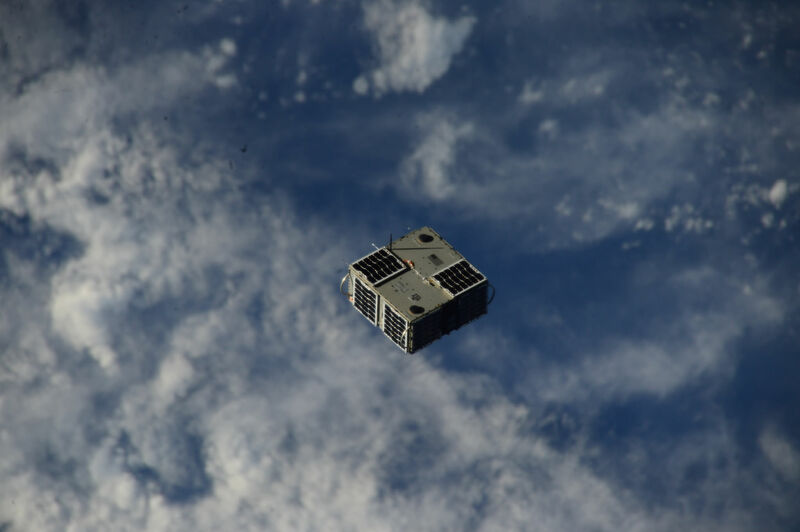 The second LONESTAR mission is comprised of two satellites built by two American Universities to undertake a demonstration of communication cross links, data exchange, GPS-based navigation, relative navigation, stationkeeping and data transmission to the ground. LONESTAR stands for “Low Earth Orbiting Navigation Experiment for Spacecraft Testing Autonomous Rendezvous and Docking” and includes four missions flown over a period of years in a cost-effective technology development program with the goal of mastering autonomous rendezvous and docking. 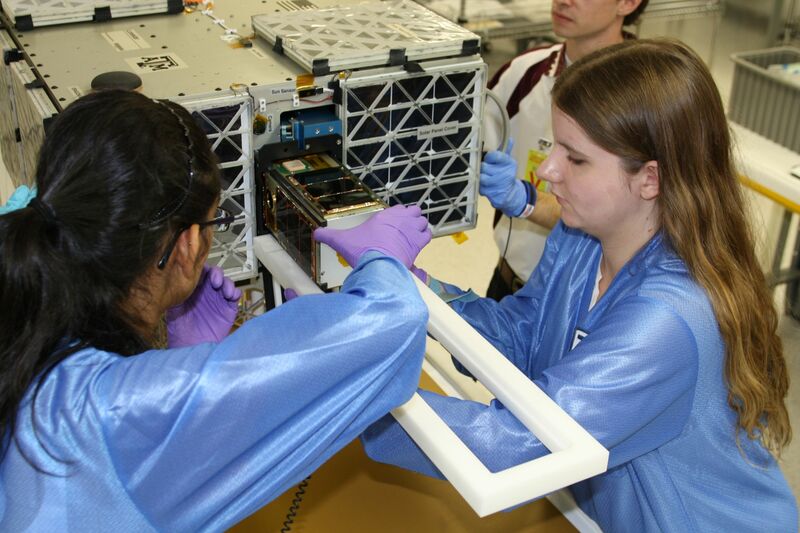 The second LONESTAR mission consists of the AggieSat4 satellite built at Texas A&M and BEVO-2 built by students at the University of Texas. 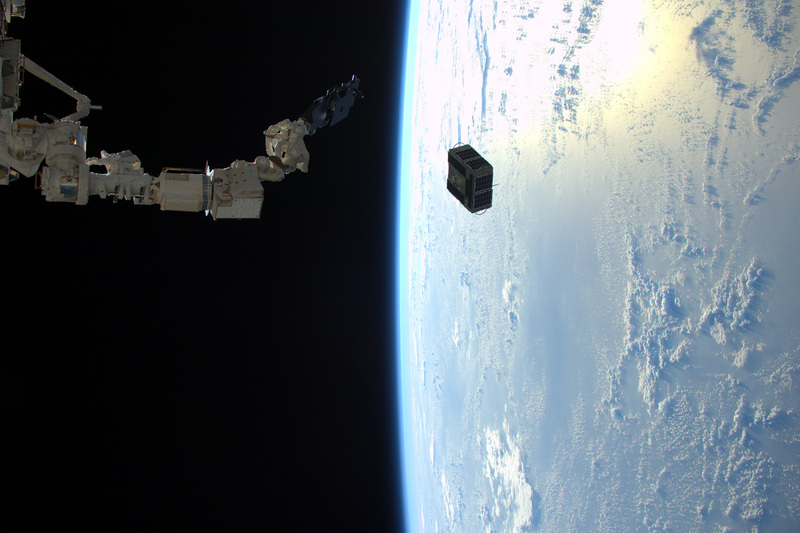 The smaller BEVO-2 satellite is facilitated within a deployer on the AggieSat4 spacecraft to be released once the two have flown well clear of the International Space Station. The two satellites, already packaged, were sent to the Space Station aboard the Cygnus OA-4 mission. Launching satellites to ISS for deployment has the advantage of allowing the satellites to be launched well-packaged to avoid damage and providing the opportunity of an inspection in space to check for any damage encountered during launch before committing them to flight. Given the size of the AggieSat4 satellite, the deployment conducted on Friday made use of the SSIKLOPS deployment mechanism, going by the full name “Space Station Integrated Kinetic Launcher for Orbital Payload Systems.” SSIKLOPS can be used to deploy larger satellites of different shapes up to a mass of 110 Kilograms. It is a flat structure that includes grapple fixtures for the robotic arms of the Space Station and a single grapple fixture for the satellite that is to be deployed. 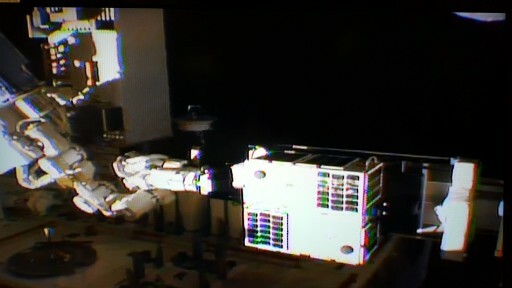 The fixture includes clamps and springs for the deployment of the satellite. Overall, the structure is 127 by 61 by 7.6 centimeters in size. It also includes interfaces for the slide table of the JEM Airlock. 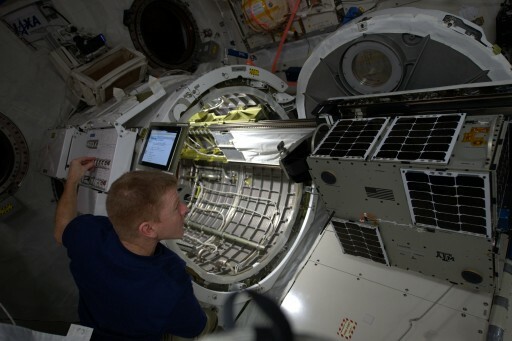 SSIKLOPS first saw action in 2014 when deploying the SpinSat spacecraft and spent most of its time in storage aboard ISS, awaiting the deployment of future satellites. Final preparations for Friday’s deployment were made on Wednesday when ISS Astronauts Scott Kelly and Tim Peake installed the SSIKLOPS deployer on the Slide Table of the Kibo module’s airlock followed by the installation of the Small Fine Arm (SFA) Plate on the deployer and the attachment of the LONESTAR satellite package. The slide table was then retracted and the airlock sealed off for depressurization on Thursday. 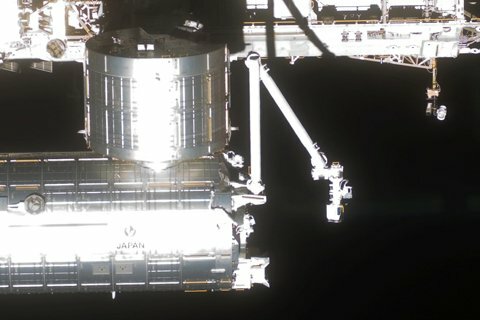 The outer hatch of the airlock was opened and a careful ground-controlled operation started to retrieve the SSIKLOPS deployer and hand it from the Small Fine Arm to the Japanese Robotic Arm that was then positioned for the deployment to ensure the satellite departed to the correct direction, ruling out any possibility of re-contact with ISS on subsequent orbits. Release was triggered just before 16:00 UTC on Friday and the LONESTAR package slowly floated away from ISS, embarking on its mission that will last as long as the satellites can remain in orbit, typically between six and twelve months. Drifting away from the Space Station, LONESTAR showed slight body rates on all three axes as it slowly faded into the distance. The Mission Team confirmed they were happy with the observed body rates and declared the deployment a success. Congratulations were exchanged between the different teams involved in the deployment – NASA’s Mission Control, the JAXA Control Center in Japan, Payload Controllers in Huntsville and the payload’s operators in Texas. The spacecraft was programmed to power-up automatically ten minutes after release, perform a health check and start transmitting telemetry. Acquisition of signal was expected later on Friday to begin a multi-day checkout campaign ahead of the satellite conducting its de-tumble maneuver to enter a three-axis stabilized attitude setting up for the deployment of BEVO-2. 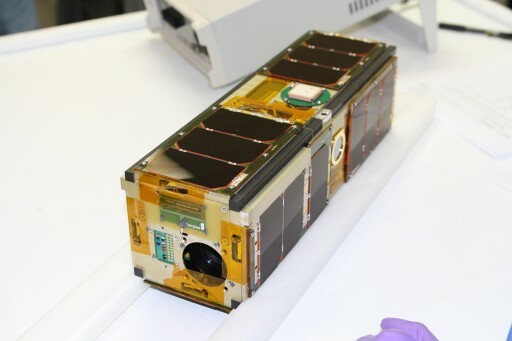 The AggieSat4 satellite, developed and manufactured at Texas A&M University, has a mass of approximately 55 Kilograms and measures 75 x 75 x 35 centimeters in size. The satellite hosts body-mounted solar panels for power generation and is equipped with a three-axis attitude determination and control system with an actuation accuracy of two degrees, making use of reaction wheels and magnetic torquers. The Electrical Power System hosts two battery packs delivering an operational voltage of 34 V and a capacity of 95 Watt-hours. AggieSat4 hosts two low-data-rate (LDR) radios, a high-data-rate (HDR) radio, a crosslink radio for short-range communication with the Bevo-2 satellite, and a DRAGON GPS Payload. AggieSat4 will be tasked with completing a number of mission objectives: demonstrating three-axis stabilization, the collection of GPS data, recording video of the release of BEVO-2 with a 2MP camera, computing and crosslinking relative navigation data based on relative GPS measurements and tracking BEVO-2 based on these navigation solutions. The 4.2-Kilogram BEVO-2 satellite uses the 3U CubeSat Form Factor, 10 x 10 x 34 centimeters, employing an ISIPOD for deployment from AggieSat4. 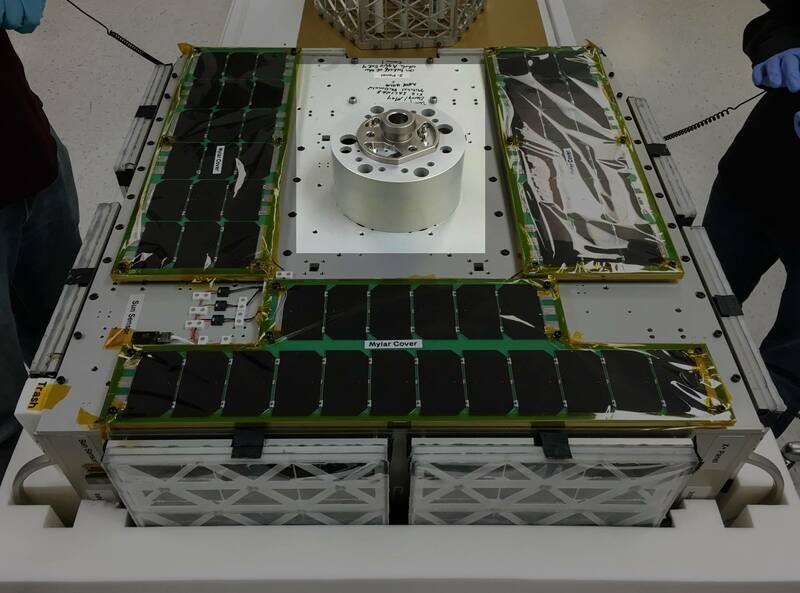 The satellite features 24 solar cells installed on its external panels to deliver power to 6 batteries operating at a voltage of 7.4 V.
BEVO-2 has four deployable radio antennas and GPS patch antennas. Attitude determination is accomplished with gyroscopes, magnetometers, a star tracker and sun sensor while attitude actuation employs reaction wheels and magnetic torquers. To connect with AggieSat4 for the exchange of navigation data, the spacecraft hosts a crosslink radio unit while communications with the ground make use of a UHF/VHF terminal for data downlink and command uplink. The satellite is outfitted with a cold gas thruster module holding 90 grams of Dupont R-236fa refrigerant stored at pressure to be released for maneuvers of the satellite for stationkeeping and rendezvous exercises with AggieSat4. 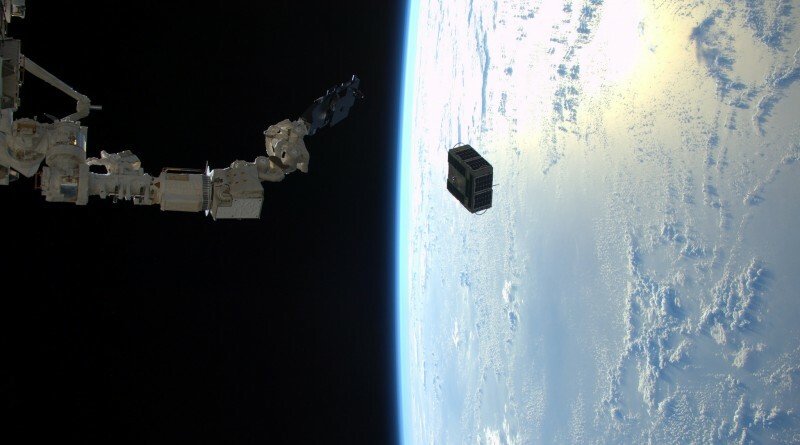 As the second of four LONESTAR missions, AggieSat4 and BEVO-2 build on the success of the previous mission in 2009 as part of a program outlined to make successive progress towards the ultimate goal of achieving an autonomous rendezvous and docking of two satellites. The autonomy aspect of LONESTAR is of particular importance for future missions to distant targets where communication delays require spacecraft to act autonomously.